Do you have a tiled floor in your house? 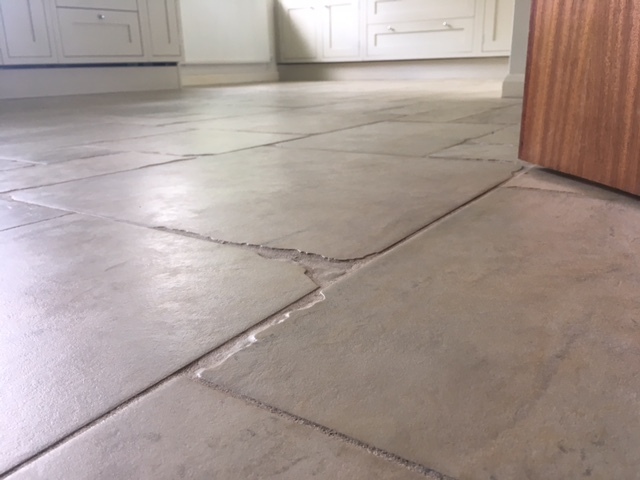 Are you looking for a tiled floor cleaner Oakham or surround areas? If so you need look no further. 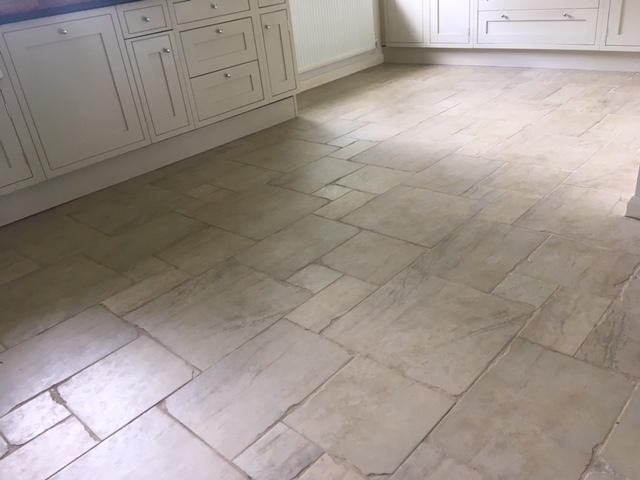 The Rutland Cleaning Company is the company to clean and restore all tiled floors, whether ceramic of natural stone back to its former glory and make them easy to keep looking great. This is typical of the sort of jobs that we undertake on a weekly basis. 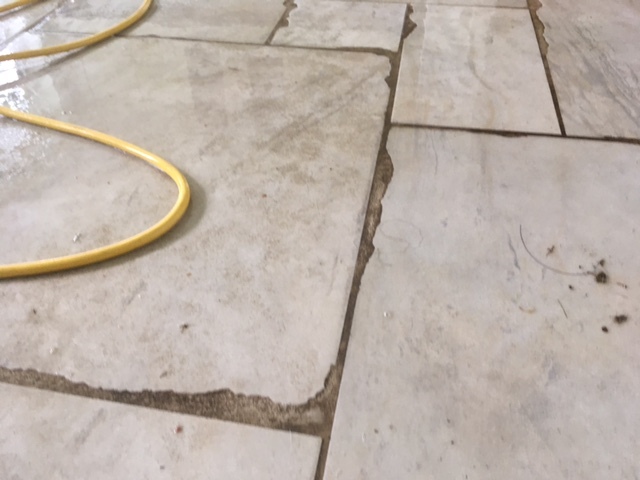 The floor is kept clean by the home owner but over time even with their best efforts soiling builds up both on the tile and in the grout lines that they are eventually unable to remove. In this case the fact that there are dogs in the house makes the problem of keeping the floor clean even harder. As you can see, once we have worked our magic the floors look as good as new. 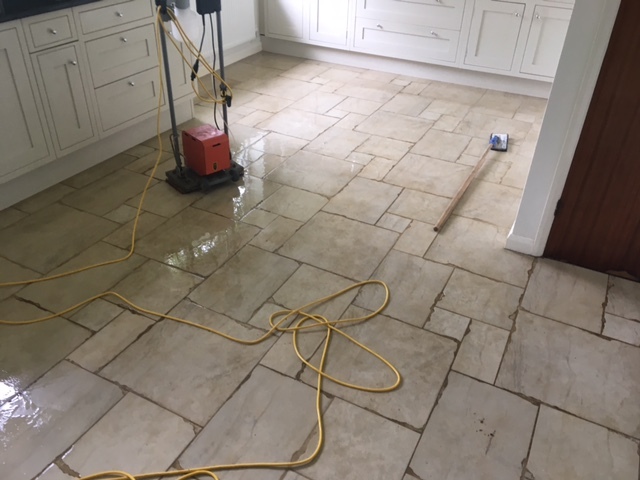 In this case, as the floor tiles were porcelain and the customer was concerned about ongoing maintenance of them we sealed the tiles and more specifically the grout lines in order that they will be easier to keep clean. Stop worrying about for floors and give us a ring. We offer a free no obligation survey where we will assess and identify the flooring, undertake a sample clean so that you can see the level of cleaning that we can achieve and so that we can establish the correct cleaning methods and cleaning solutions for your floor.